At a sleek 0.49" thick, easily stored in pockets, bags, or purses. The double anodized aluminum case has a matte, polished and extremely smooth surface for better hand feel. Comes with shiny CNC-finished edges-a design typically reserved for premium smartphones. 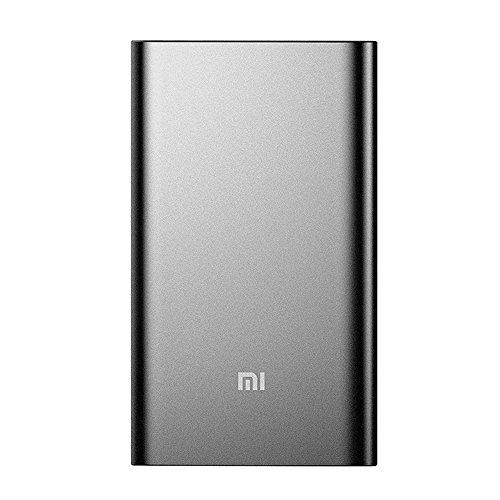 With full QC2.0 and QC3.0 compatibility, Mi Power Bank Pro charges standard devices 25% faster. Support 18W fast recharging, time saved 40% compared to other 5V/2A charger. The power check is not a power button, 10000mAh Mi Power Bank Pro detects charging and discharging automatically. The power indicator turn off 2 minutes after discharging completed.